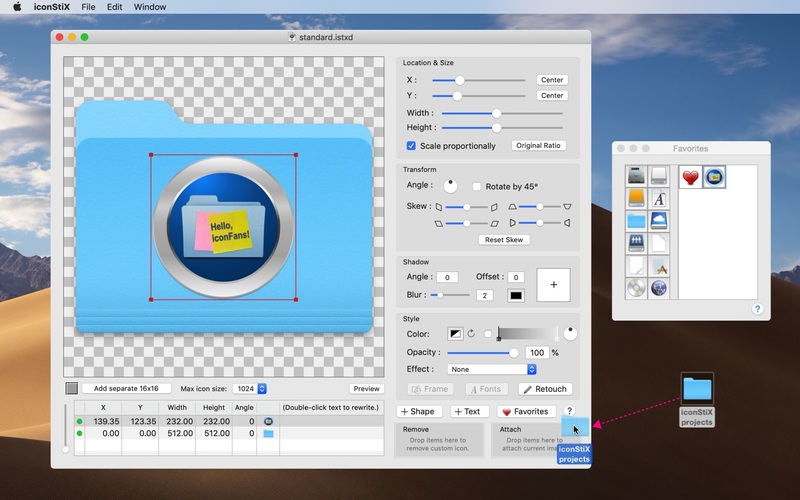 iconStiX is a simple program to combine images and attach composition as custom icon to desktop items such as folder. It is cooperated with the Finder’s services, so that you can select “Open iconStiX” in the Finder’s contextual menu to start the program. keeping favorite icon images for quick access.